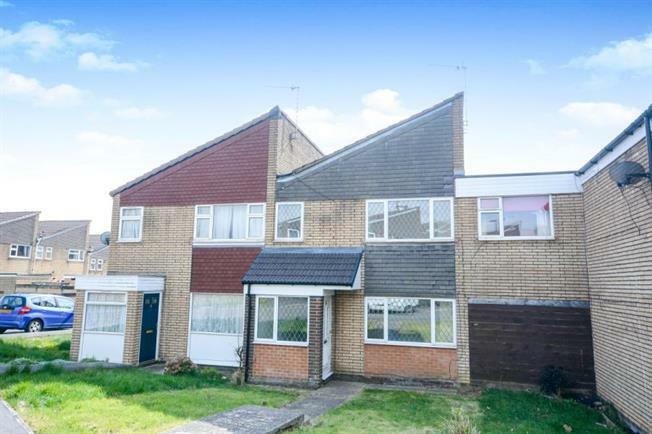 3 Bedroom Terraced House For Sale in Chesterfield for £125,000. Beautifully presented and superbly proportioned three bedroomed terrace home. An internal inspection is essential to fully appreciate this lovely home, being ideal for a family and is most conveniently located within easy reach of train station and the good range of local amenities and public transport links. The property briefly comprises of entrance leads into the small lobby which leads into the living room and provides access to the dining room. The kitchen has a range of wall and base units and has a door leading out to the rear courtyard. The first floor has three bedrooms and family bathroom with w.c, wash hand basin and bath. Loundsley Green being conveniently situated in a pleasant & popular residential family area, within close proximity of local amenities offered at Loundsley Green shops, local church, community centre, along with local schools & public transport links accessing Chesterfield Town Centre & Chesterfield Train Station less than only two miles away.